UBER Coupon Code: How to Get Your First Uber Ride FREE! Want to score a nice discount on your first Uber ride? Well, below you’ll find an Uber Coupon Code that you can plug into your newly downloaded app and you’ll be good to go. Ever wonder how all you friends and family are getting their first Uber ride for $5 off? Well, today I’m not only going to show you how to get your first ride free but I’m also going to show you how you can get FREE Uber ride discounts over and over using your own personal Uber coupon code. Uber is currently offering new users (1) complimentary ride of up to $5 to $10 USD depending on your location. Generally speaking, most rides around town are more than $5-$10 but a discount is a discount. Be sure to use your first ride wisely. Yeah, that’s it. It’s really that simple. 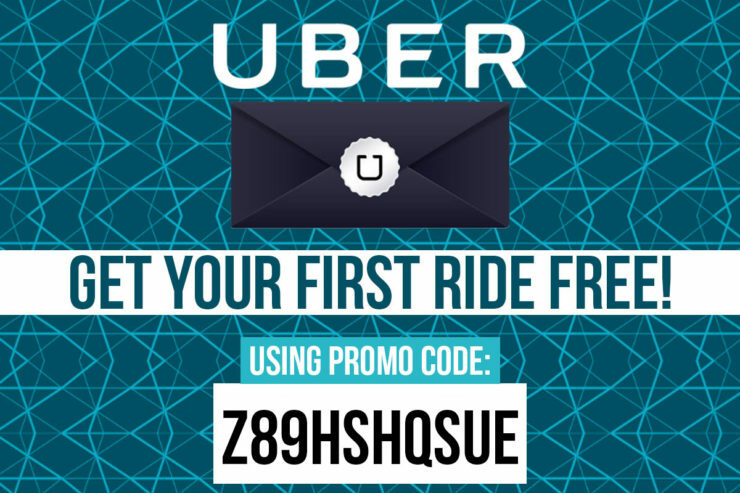 All you need to do to get your Uber first ride free is enter the Uber Promo Code: Z89HSHQSUE into your Uber app. What if I already have an Uber account? If you’ve already signed up for and used Uber in the past, then this deal will not work for you. You could potentially sign up for a new account with new email address but it’s against Uber’s Terms of Service. That being said, if you are traveling with a friend or family member who has yet to sign up for Uber, just have them sign up for a new account so that you can still take advantage of the Uber new user promo discount. Where do I enter the Uber Coupon Code? Open your Uber app and click on the menu in the top left hand corner. How do I apply my Free Ride Credit to my first Uber Ride? No worries. It’s all automated. Your Free Uber Ride discount (up to $5 to $10 or other value depending on the country you choose when creating your account) will automatically apply to your first Uber ride. What if I’m signing up for an account from a country outside of the United States? No problem. When you sign up using the code: Z89HSHQSUE you’ll receive a free ride of up to a specific value that Uber has chosen for your country. In other words, Uber gives free rides up to $5 to $10 USD to new users based in the United States but the value of the free ride depends on the country which you assign to your profile when you sign up for a new Uber account. For more information on earning and using Uber credits internationally, click here. What is a Qualifying Uber Ride? All rides qualify EXCEPT for UberTaxi rides. Do Uber Coupon Codes have an expiration date? No. Uber Coupon Codes are valid unless Uber changes its terms of service. Can I earn more than $5-$10 in Uber Credits? Yes, although you need to keep an eye out for special Uber free ride promotions in order to find the latest deals. How can I earn more free Uber rides? If you’re traveling with a friend or better yet, a group of friends who have never previously signed up for Uber, you’re in luck. All you need to do to get free Uber rides is to have one of your friends (for example sake lets call him Friend #1) in the group signup and use your Uber invite code. Your first ride with Friend #1 is free thanks to you. Now have Friend #2 signup for an account using Friend #1’s code or your code. Again, another free ride. And the list goes on. Realistically if you plan it right, you can continue to get free ride after free ride with Uber. Tip: Don’t forget to share your Uber invite code with all your friends and family via Facebook, email, etc. Note: Remember that you will not receive your free Uber ride until the person you referred completes their first ride. Do free Uber rides expire? Yes. All free Uber ride credits expire 3 months from the date of issue. How do I Check Uber Credit? Login to the Uber app and click on the menu at the top left hand corner. Below the credit card you’ll see where it tells you how many free rides that you’ve earned. How much is an Uber Ride? The best way to estimate how much your Uber ride will cost is to use this site. How can I earn Free UberEats Credits? Did you use my Uber free ride promo to get your first ride free? If so, leave a comment below. Note: I receive free ride for referring new users to Uber (like yourself) but only after you complete your first ride. At the end of the day, you get up to $5-$10 off your first Uber and I get a free ride for referring you — it’s a win-win for everyone! Hi, may I know if an account created in Malaysia, can I use the promo code “UBERPTM” in Bangkok, Thailand upon arrival into Bangkok Don Mueang? Unfortunately, you can only earn free ride credit based on your location. Also, please remember, you only receive a credit towards your first ride after signing up for an Uber account. Considering you already signed up for an account and set your location to Malaysia you’re not going to be able to get your first ride free in Bangkok. You’ll need to create a new account for yourself and list your location as Thailand when signing up. After signing up for your new uber account head on over to FREE RIDES in the navigation menu to find your Uber promo code. 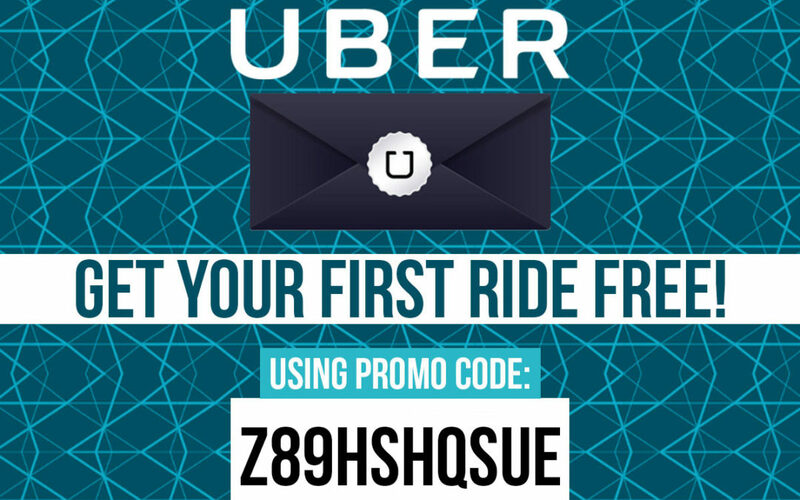 Share this code with a friend/family member who will in turn sign up for an account and get their first ride free. Once they complete their first Uber ride you’ll get a free ride credit of 200 THB for your trip to Bangkok. Send out as many invites to your friends as possible and you might be lucky enough to accrue more than a few free rides for your trip. 3. Change your location to the country you’ll be visiting next. 4. Now each time a new user signs up through your account you’ll receive a free ride credit from the location (country) based in your account. i need to ask you bro . any other code US promo codes that gives rs 300-600-1000 off on first rode in India . if know any please help ..
Hi Nawaid. Unfortunately, in your specific case being that you live in India, my promo code only offers you ₹150 off your first ride. Hi Saurabh. I’m not sure. I don’t know of any specific Uber promo codes for India although this one will certainly work. Give it a try! I was wondering if the first ride is free for just the one with the account or for all riders in the group. Hi Janice. The free ride applies to your account but you can bring as many friends as you can fit in the car. ;-) Enjoy your ride! I’m a first time Uber free ride and my spouse is first time free meal with Uber. How do we use the 2 of them together? He wants to get us a meal for 2 and I want to get us home. Can we do this? Hi there. You can only use one voucher per order. My promo code will give you $5 off four rides ($20 value). I don’t know of any deals specific to Chicago, sorry. Hi Carol. Unfortunately, UBER is constantly changing and updating their promotions. At one point it was $20 OFF, now it’s $5 off of 4 rides. It’s the same in Mexico. It used to be $150 pesos off but now it’s 3 rides at $50 pesos/ride. In any case, it’s still a savings of $20 for you although it’s just divided into four separate rides. You say, “All you need to do to get your Uber first ride free is enter the Uber Promo Code: UBERPTM into your Uber app.” I entered the promo code, simple. And then I took my first ride, and all I got was a $5 credit off a $35 fare. It wasn’t free. Misleading, I’d say. What’s up, Ryan? Hi Phil — Sorry for the inconvenience. Uber has been changing up its promotions on what seems to be a weekly basis. I can’t keep up. The promos vary from country to country but for example, Uber use to give $20 credit to all first time riders in the US which in my opinion was pretty much a free ride as most people rarely get charged more than $20 for a ride in the states. In any case, I guess now it has been changed to $5. They are constantly changing this and it’s completely out of my hands. To be clear, my promo code is as good as anyone elses at this point. I apologize again and I hope you can understand where I’m coming from. Ryan, thanks for the reply, your explanation makes sense and I appreciate it. I admit I was expecting/hoping for $20 off my first ride (went way across town for $35), thus my frustration. Best wishes to you. Appreciate the reply, Phil. I apologize. It’s difficult to keep up with the changes that UBER has been making. I’m doing my best here. Is there a mileage limit on the first free uber ride? Yes, of course. It’s basically a credit towards the ride and the amount of the credit depends on the country. It’s available for all countries. Just be sure to set your profile country as the country you’re interested in using your credits in.